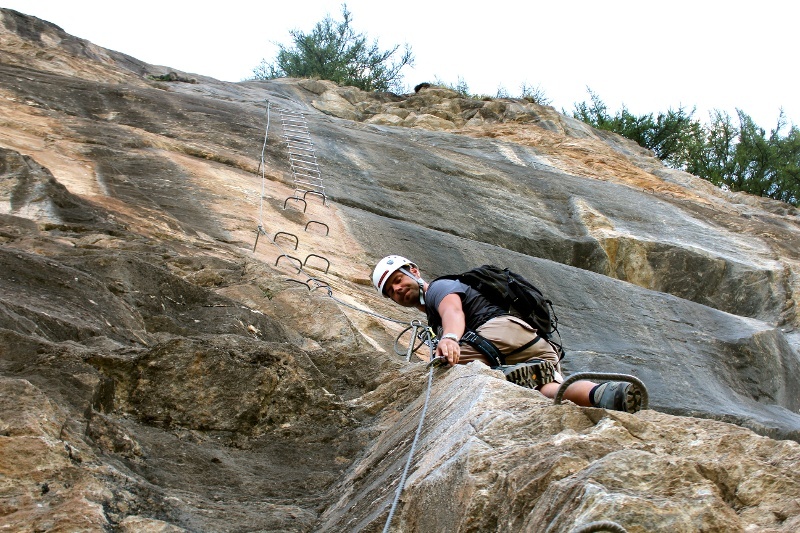 Route B of the via ferrata Schweifinen, near Schweifinen/Turuwang, can be accessed in several different ways. Enthusiasts may try all of them. 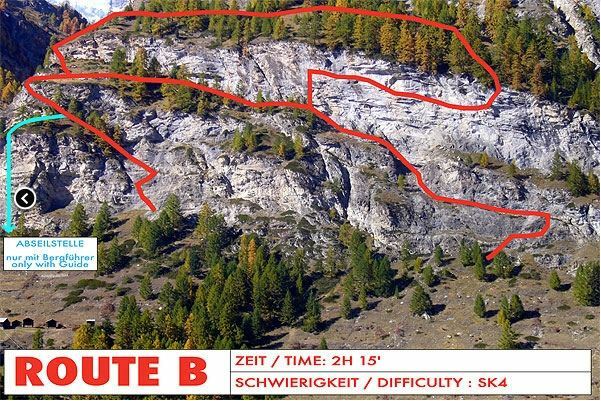 The heart of route B: the smooth, vertical and in places overhanging rock wall. 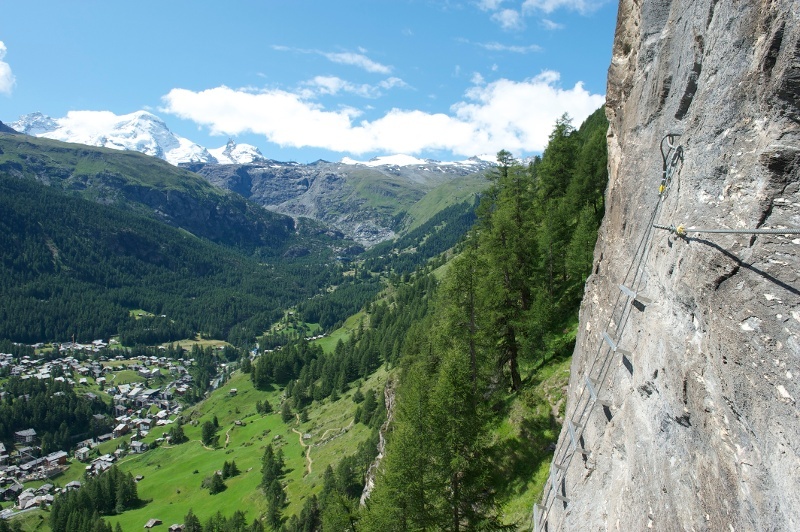 The icing on the cake: a traverse along swinging tree trunks. 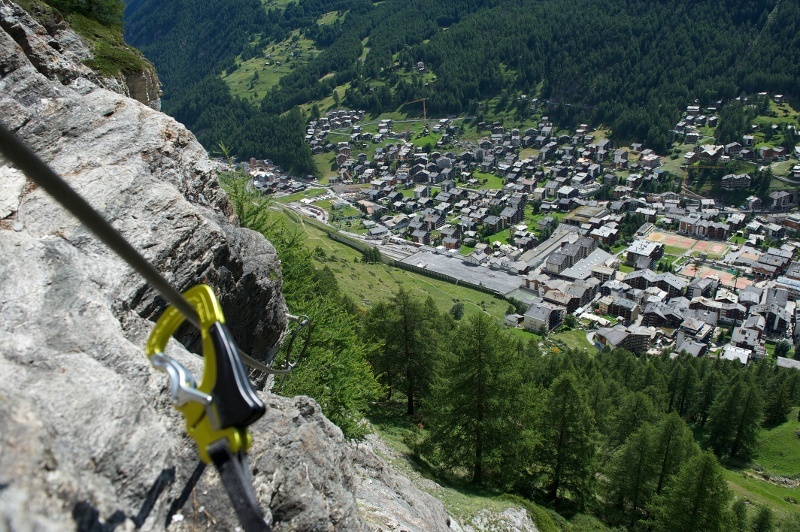 While climbing in the steep cliff faces, it is worthwhile glancing over your shoulder towards the village below. Note: Take note of the weather. 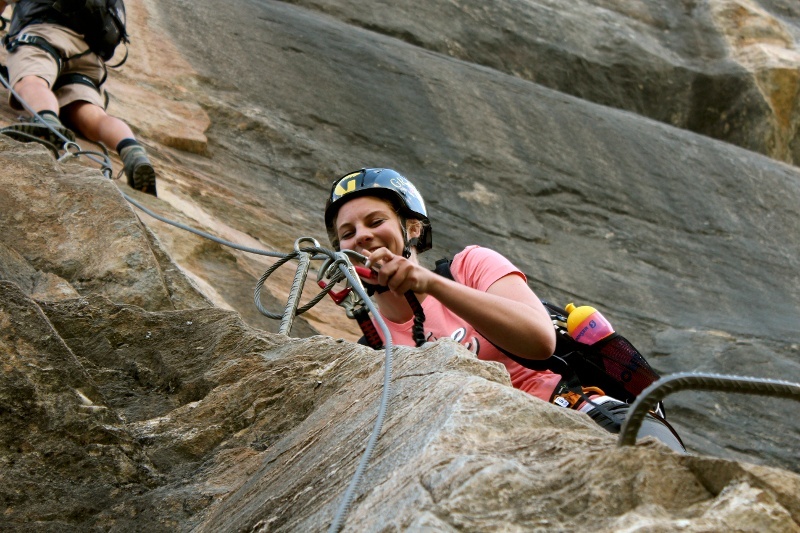 A storm can prove deadly on a via ferrata.